You rely on your servers and cannot afford to have a server fail. To minimize the high cost of surprise equipment purchases, a hardware replenishment program can help you budget for equipment replacement. And while that can reduce some of the price swings of poorly planned but predicted equipment replacement, hosted virtual servers can reduce the cost of planned upgrades even more. A hosted virtual server allows you to pay a monthly service fee to maintain your data. Instead of facing an expense to replace your company’s server hardware every few years, you pay a monthly service fee. This operating expense can be established to meet your current business needs and scaled up periodically to keep pace with your business growth. With hosted virtual servers, your server hardware is continuously upgraded without additional expense or downtime. You continue to own your data and can add appropriate security features from firewalls to remote user virtual private networks (VPN). 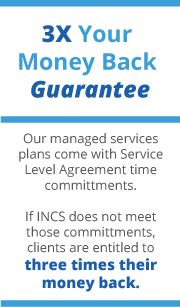 Whether planned or unplanned, every server replacement requires a capital outlay. Hosted virtual servers allow you to pay a consistent, budgeted monthly rate. This transfers the burden of unanticipated hardware failures to the host company while you benefit from continuously upgraded server hardware.